Businesses can also now show off their products to consumers where buyers can almost experience the real thing right in front of their eyes. When Augmented Reality (AR) was first sighted as a possibility, it was pretty difficult to implement. It needed a lot of sensors apart from the heavy data crunching on the software side. Previously, first generation AR would make use of depth sensing algorithms from the images captured from the camera. Later, these algorithms matured into complex calculations to give out a better AR effect. And today, with the help of additional depth sensors, AR has become even more advanced. However, we have seen the expensive and bulky hardware slowly being replaced by more complex software and AI-infused core processing. These new methods no longer rely on hardware, but can now do even better with a simple camera feed. Apple was one of the first to implement the same in their operating system, which takes advantage of the discrete neural processing hardware embedded into the new A10 processors that you will find on the iPhone 8, iPhone 8 Plus and the iPhone X. With development of more powerful algorithms within the operating system, the AR software engine can also be run on older hardware such as the iPhone 7, albeit with possibilities of a slower run time and probably at the expense of battery consumption. 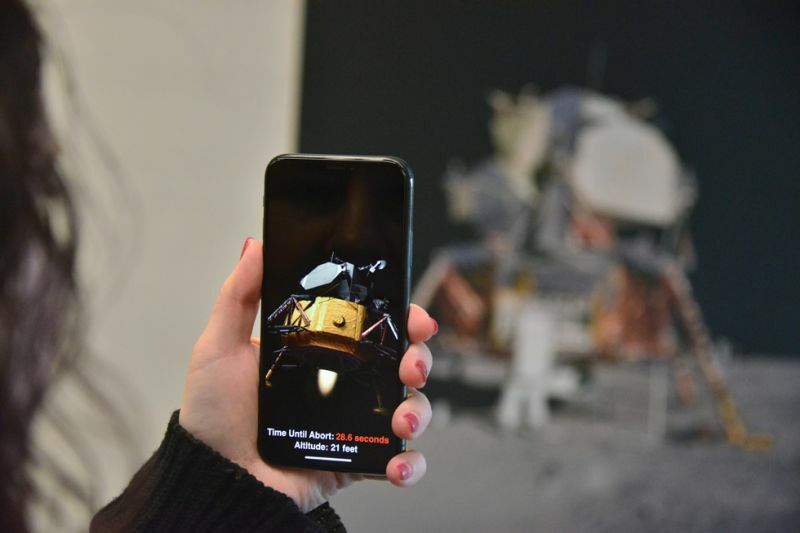 However, the iPhone 8 and above have a hardware that takes complete charge of the heavy AR data-crunching requirements and makes it easy on the processor and battery to create a more immersive AR experience. Apple introduced ARKit as part of the operating system where developers could create apps that take advantage of the neural processor and the AR features to help various industries, from gaming to education and shopping to business, grow better. ARKit blends digital objects and information with the environment around you, taking apps far beyond the screen and freeing them to interact with the real world in entirely new ways. A WWDC18 Scholarship program by Apple was run some time ago and submissions were open between March 26 and April 1, 2018, with the status of the applications notified 20 days later. The submissions we based on requirements with regards to the scholarship’s terms and conditions and applications were judged on technical accomplishment, creativity of ideas and content of written responses. WWDC18 Scholarships reward talented students and STEM organisation members with the opportunity to attend the 2018 conference. Developers selected for a scholarship would receive a WWDC18 ticket, lodging for the conference, and one year of membership in the Apple Developer Program, free of charge. The concept of online fashion shopping with AR support is growing. We look into something similar with a simple, yet powerful app that will probably set a benchmarking into AR-based online or offline jewelry shopping around the world. We got in touch with an AR developer from Hyderabad, who is presently having her hands deep into AR app development, and equally finds it interesting and beneficial for people and businesses around us. Asshna is a WWDC18 Scholarship winner for 2018, and has been invited by Apple to attend the WWDC at San Jose this year. Asshna Narula, a 24-year-old student developer and an app developer from Hyderabad, uses Apple’s ARKit for developing AR-based apps. She is a post-graduate in Computer Science student’s motivation. She developed her first AR app using Swift Playground after being inspired by her 5-year-old nephew who, like many other kids, suffers from a problem of not being able to differentiate between same and different. He had a tough time dealing with shapes, colours, alphabets and numbers at his pre-school. His issue led Aashna to think why this was happening. After some research she came up with the idea of the game, “Let’s Shapify”. Initially, she incorporated the idea of matching all the shapes on the screen with the correct shape. Soon Asshna realised why not include both shape and color at the same time. Let’s Shapify is the app she built which helps in enhancing a child’s observational and categorisational skills. While matching the shapes, one has to also keep a close check on the color of the shape. She has seen a marked improvement in her nephew’s learning abilities after he has played this game. Asshna is presently being mentored by the core developers behind Mirelz, a Hyderabad-based startup catering to AR-based online fashion shopping in the jewelry segment. 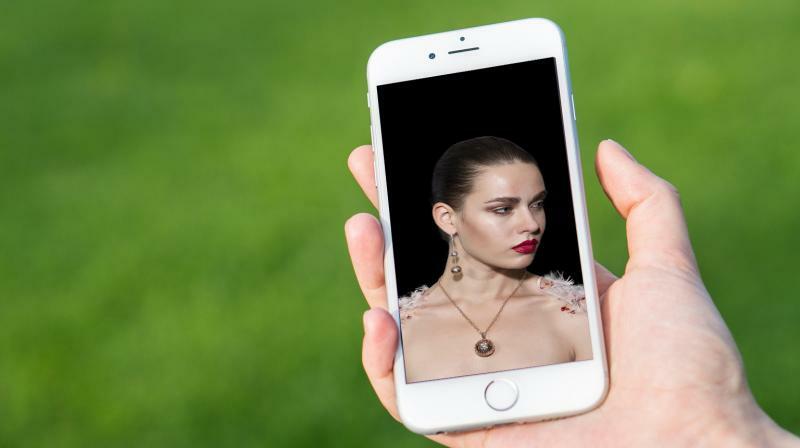 Mirelz a fashion-based AR app that helps users window shop for jewelry without having to head to the jeweler or even touching any of the ornaments.